I did a stop and start on php5-fpm because there is a small gaff in it’s control script that sometimes causes it to not restart properly with the restart command… it’s easily fixable by putting a “sleep 1” in the right spot in it’s init.d script though. You will need to stop and start php5-fpm after making this change for it to take effect. That’s it for APC… it’s super simple… on to varnish. Guess what… you are DONE! But because the life of a sysadmin is never done… lets install some WordPress plugins to make this thing even faster and look nicer. Find and install these plugins from within your WordPress Admin panel. Back in the WordPress admin panel, go to the plugins list and make sure that the PHP4 version of nginx Compatibility is disabled and the PHP5 version is enabled. Now you can set up permalinks and they will work in nginx. Then click any of the Save Settings buttons. Now go to the Minify tab at the top and uncheck the the top box for rewriting the URL structure and then scroll through the minify section and check every checkbox labeled Enable. Click any of the Save All Settings buttons here and then go back to the General tab. Lastly at the very top next to where it says Preview, click Deploy and then click Disable. Now at the top there will be a prompt telling you that settings have changed and it recommends purging the page cache, go ahead and lick that button. All done! You now have a supercharged WordPress blog! Happy Blogging! 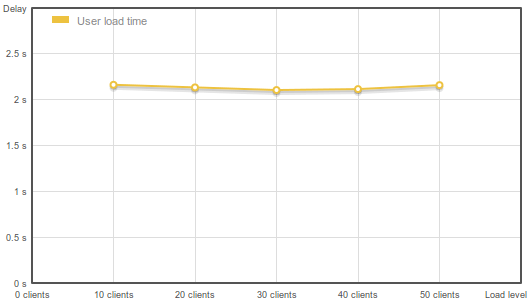 106 millisecond longest response with almost 100 requests per second… not too bad but we obviously aren’t stressing it enough… lets do it again but this time with 100 concurrent connections for 10,000 connections! Brilliant! Thank you so much for this. I have spent many hours researching the best way to do this, and here it all is in one place. I have a couple of comments and questions. I am testing this on devel.whatsthatbug.com before I roll it out on <a href="http://www.whatsthatbug.com” target=”_blank”>www.whatsthatbug.com. Should that be devel.whatsthatbug.com for me? The difference between devel.whatsthatbug.com at http://www.webpagetest.org/result/110825_DV_1DKC8… and <a href="http://www.whatsthatbug.com” target=”_blank”>www.whatsthatbug.com at http://www.webpagetest.org/result/110825_QM_1DK9M… is amazing. But it looks like I still have some room for improvement. http://www.webpagetest.org/result/110825_B6_1DKBZ… shows the details. Any suggestions on how to turn cookies off for my images in nginx? They are off for some but not all, which seems strange. Again, thank you for this! I think I’m ready to go live with it tomorrow. Heh, You caught me there… That part of the varnish config shouldn't have actually been in the article. That was another URL being served by that server that I specifically didn't want varnish to cache. Thanks for pointing out my mistake! The varnish config as it sits now is what you want. I am having a conceptual problem. It seems like varnish should be on port 80 and nginx should be on port 8080 if varnish is supposed to sit between nginx and my users. Otherwise, how are people hitting varnish at all? And where am I telling varnish what to cache? The reason I'm asking is, if I look at `varnishtop -i rxurl` for example, there are zero entries. The site loads fast now, and varnish is being utilized. You have it backwards. Let me know how much faster things get for you when you switch it around. Of course, I never would have got anywhere near this far without your otherwise excellent work! Thanks again. Nope, I cover all of that. First I walk through getting nginx up on port 80. Then I cover adding in varnish with varnish on 80 and nginx on 8080. Glad you got everything working though! This really is a great config! I will likely do a followup later on how to add mediawiki into this config. "Next we need to adjust the nginx config that we did earlier. Just change the port number on the Listen line to 8080"
I missed that line. Sorry. Yep, tweaks like those are planned for a second post on advanced varnish tuning which will include performance tweaks like that as well as a good way to use varnish on a server that is running multiple vhosts when each one may need a separate config (for instance if you are running wordpress and mediawiki on the same server). I am really glad this article helped you out! Almost forgot to mention. This blog runs on requests… let me know if there is anything in particular you want a post on and I will write it up! too many nested comments, lol… Hopefully the next one will be coming withing a few days if I have time. Have you had any issues with the varnish and/or nginx cache not being purged properly when something changes in WordPress? I've got the ip address that varnish is running on listed in w3tc and I have "Enable varnish cache purging" checked. However, when there is a new post or a change to a post, it is not being reflected. Even if I 'empty all caches' in w3tc, the data is still stale. Hey cryptik thanks for writing this article this is the first time I've been able to setup a LEMP stack successfully. I had one question though, I have to sites setup on nginx one being just a 301 redirect but the other one is a wordpress install. If I have the ip.address:8080 in the nginx config file the sites do not work but if it's port 80 they work. I've tried rebooting the server, restarting nginx, php5-fpm and varnish. Any help will greatly be appreciated! seems like you have varnish mis-configured. Make sure that nginx is listening on port 8080, and varnish is listening on port 80, connecting to it's backend on port 8080. Hey cryptik thanks for composing this content this is initially I've been able to create a LEMP collection efficiently. I had one query though, I have to websites installation on nginx one being just a 301 divert but the other one is a wordpress platforms set up. If I have the ip.address:8080 in the nginx config computer file the websites do not perform but if it's slot 80 they perform. I've tried restarting the server, restoring nginx, php5-fpm and varnish. Any help will significantly be appreciated!